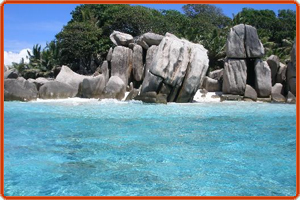 Anse Georgette is a small and serene beach located in the north west of Praslin Island. Surrounded by beautiful trees, the beach offers total privacy and is an ideal place for relaxation. It is extremely popular with honeymooners and has been rated as one of the top ten most attractive beaches in the world. 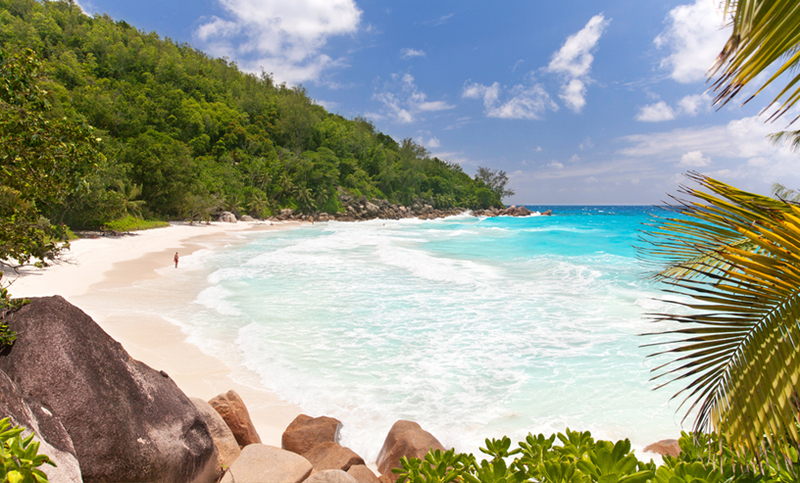 Anse Georgette has been classified as a national park and its soft white sands and crystal blue waters form a spectacular scene. The beach is only accessible by boat or through the Lemuria Resort.